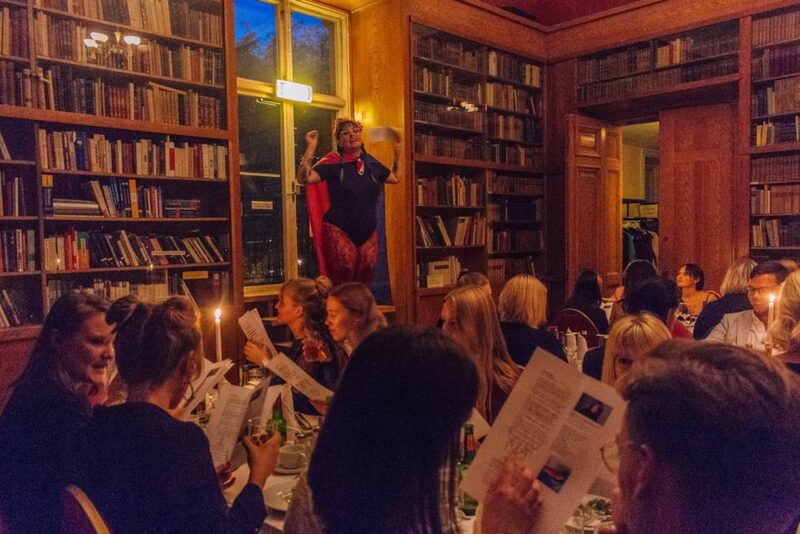 A Gasque, is a Swedish student dinner which is specific to the student cities of Lund and Uppsala. It’s somewhat traditional in its format, though they can come in all different shapes, sizes and themes. 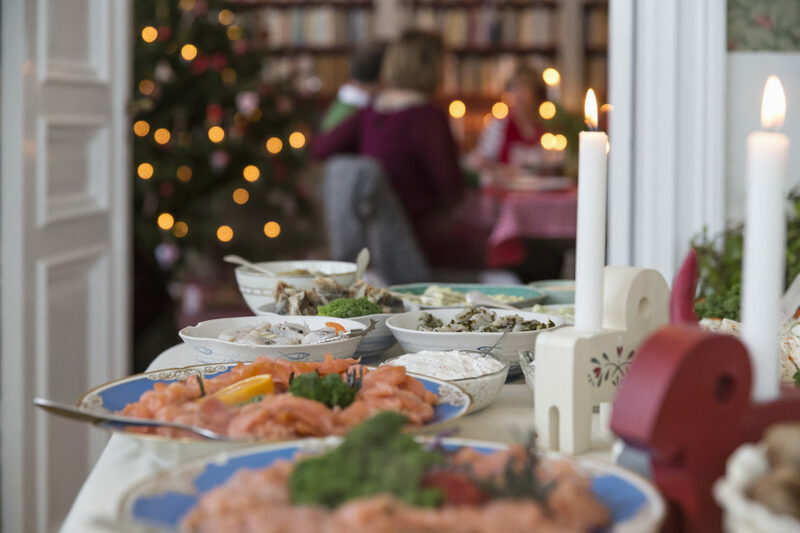 In other parts of Sweden, a Gasque is called a “Sittning.” Basically what you need to know is that a Gasque is a type of pretty formal dinner. There is a dress-code, and an order of courses served, songs which are sung, snaps to be sipped. Enter, the HBTQA+ Gasque – which rips the rulebook up! The HBTQA+ (the Swedish letters for LGBTQA+) Gasque is something specific to Östgöta Nation in Uppsala, which happens to be the student nation I have been a part of for the last year, not only as a member but as an Officer. The HBTQA+ Gasque was the brainchild of Östgöta Nations Jämlikhetsgrupp, AKA, ÖG’s Equality Group. The Equality Group focuses on lots of issues pertaining to our Nation, and how to make the Nation a safe, comfortable and fun environment for all different kinds of people. How was the HBTQA+ Gasque different to other gasques? So what twists on the quite conservative (with a small ‘c’) Gasque format did the HBTQA+ Gasque provide. Well for starters, there was no dress code. My friend Hannah was delighted to turn up in a gold sequinned jacket and jeans. I was thrilled to be there in a full rust-coloured suit. I saw someone in a wedding dress! There were a beautiful array of outfits and costumes on display, and the relaxed dress code really allowed people to be themselves and flourish. When we arrived in the Library (which was super cosy for a Gasque! ), it was decorated extensively. 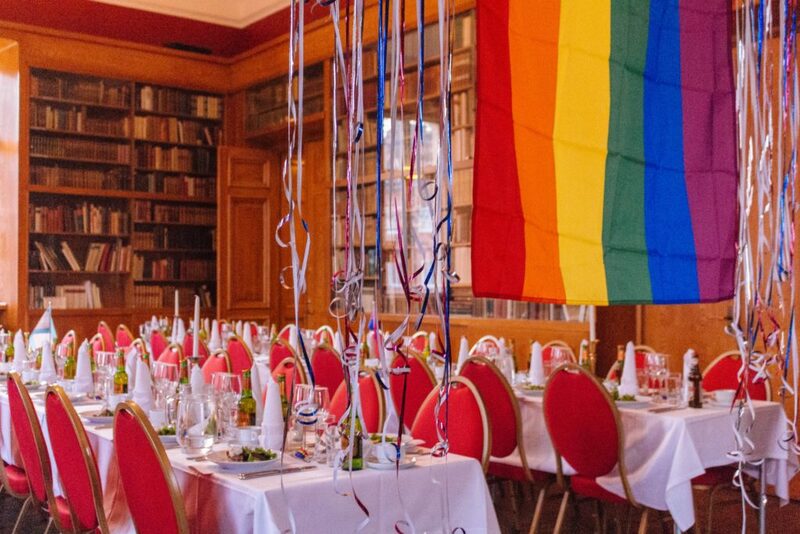 A huge Pride flag hung from the centre of the room, with streamers, and the tables were decorated gorgeously. Everyone received a free Pride flag badge to wear on their outfits too, which everyone was thrilled with (hello: freebies). All of the food served was vegan, which was SO delicious and lovely to know that everyone could share the same thing at the same time! The chocolate cake with soy whipped cream was *a marvel. * I wish I had been a Cunning Grandma and stolen some uneaten cake to save for later but, alas. Uppsala’s Feminist Choir sang for attendees, which was honestly spellbinding. They sang three songs and had the whole room totally transfixed. I overheard so many people afterwards saying that they wanted to join the choir, who sing not only in Swedish but in English too. On this point, the songs which were sung at the Gasque were not just the atypical traditional songs. There were updated versions of old songs (with perhaps slightly problematic lyrics…). This made the Gasque feel very refreshing: a Gasque truly for now. 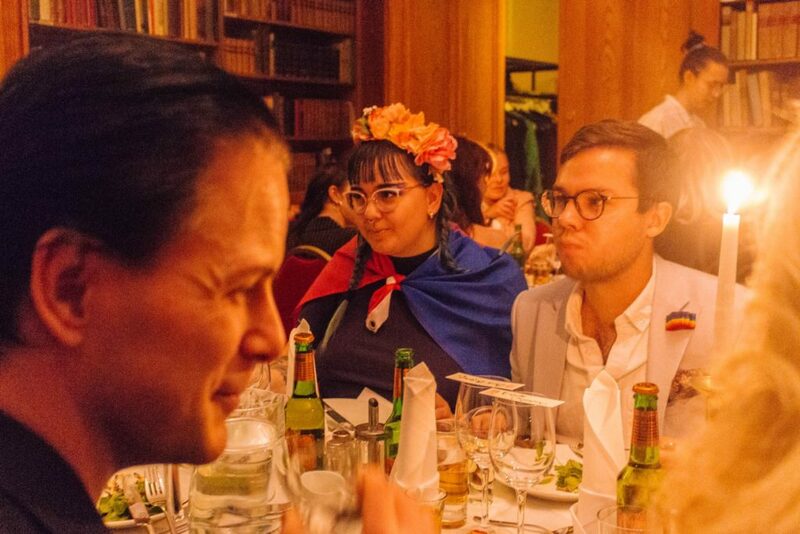 Sigrid, one of the organisers and the fantastic Toastmaster of the HBTQA+ Gasque said of the event, “It was an amazing night and it became such a cool bubble where everyone could be themselves. 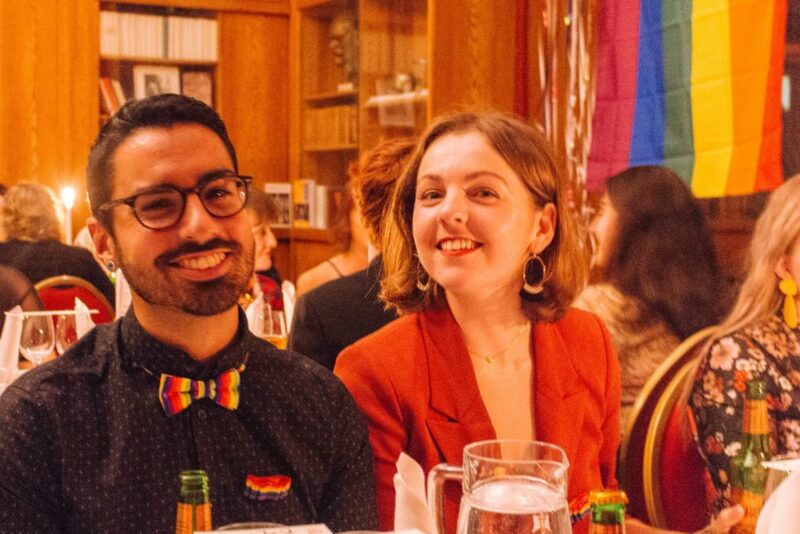 It was so much fun being a part of creating this space for the lgbtq+ people of Uppsala and I hope we can keep doing it for many years onward!” David, an attendee, former Culture Secretary at the Nation and all round Massive Babe also commented, “I sat there with old friends and strangers. But even though many people in the room were new faces for me, I knew we all belonged to a family. It made the evening relaxed, safe, liberating and loving.” I couldn’t agree more with David’s comment – it really felt like the warmest, most generous place to be that night. I was lucky enough to be asked to perform my poetry at the Gasque, which truly was the most welcoming environment. I was extremely nervous to perform: I had performed one of my poems before (about girls who meet in nightclub toilets and how they are the BEST women in the world), but two newly written ones I had never read aloud before. 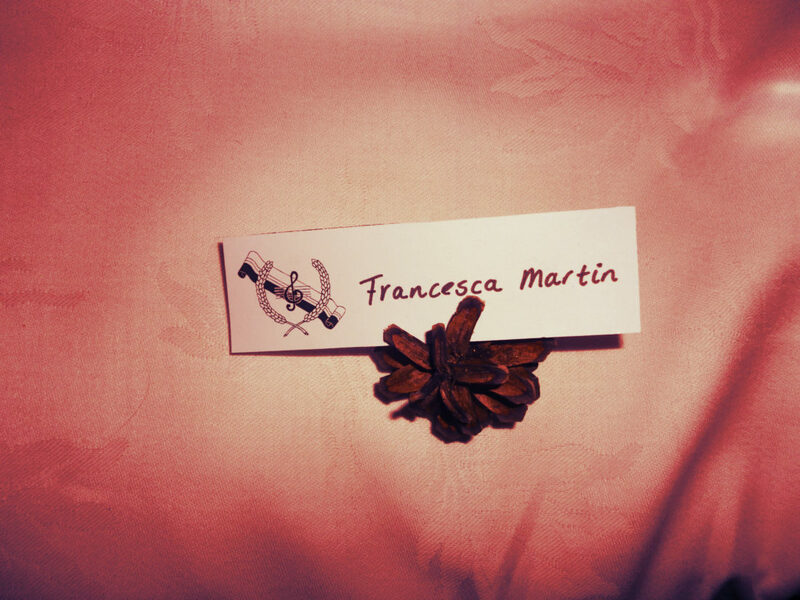 I was particularly nervous for one of them as it was about coming to terms with my bisexuality in a world which seems to reduce bisexuals as “unsure” or “dramatic.” The reception I received was extremely warm, and was the best possible host I could have had for these poems, and that one in particular. It made me feel like what I had voiced was not only the best possible venue for it, but that it was very important that I did it, so that felt particularly special. People were extremely kind to me during and after I performed, which made me feel really comfortable to do it again. On this point, there are lots of ways in which you can get involved in gasques such as this one. If you’re less inclined to provide an entertainment role, there are other positions available. For example, I heard that the organisers needed a photographer, and I knew our wonderful Study in Sweden Instagrammer Hyunjin would be the girl for the job, so I put her in contact with the organisers and she took all of these gorgeous shots! I had friends who were the waiting and bar staff for the event too – which they get paid for as well (in a Nation context, pay is usually quite low as nations are run by and for students, so getting paid well in this setting is a fantastic bonus). So there you have it! The bright, light, warm and gorgeous HBTQA+ Gasque in Uppsala. Would you like to go next year? Or set one up yourself at another student nation/student group in Sweden? 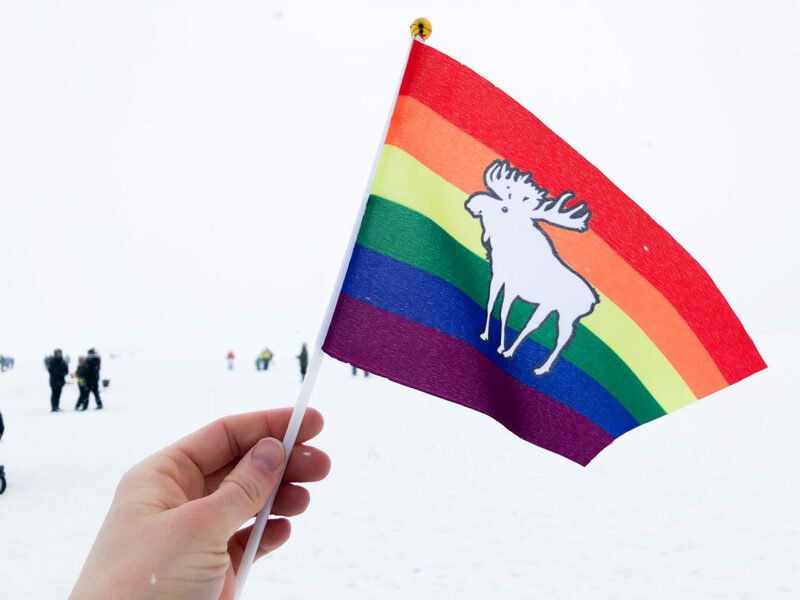 Earlier this month, I joined the Study in Sweden team to participate in the EuroPride parade. This parade used to be the biggest in Europe but now…it is still the biggest in Scandinavia!